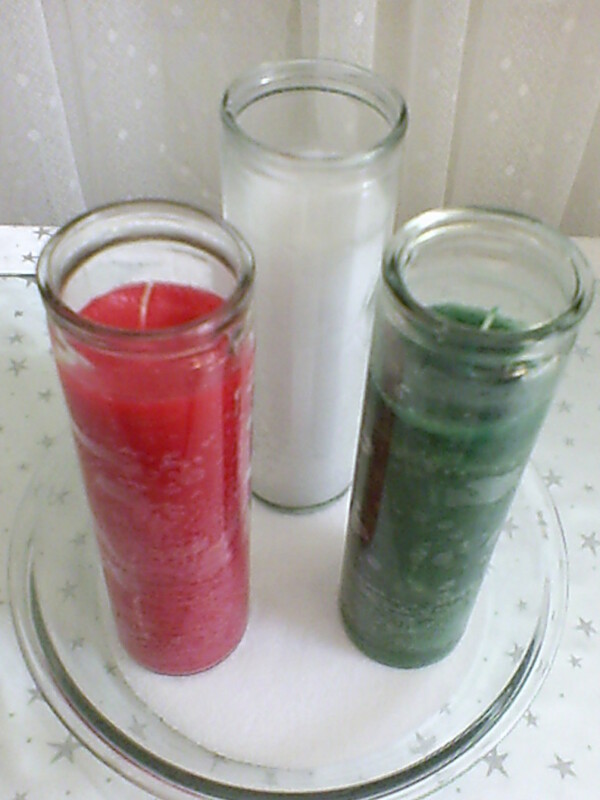 This candle spell uses three anointed and blessed candles in the colors designated for money drawing super power. Red is the traditional colors for “fast luck” and drawing money for games of chance and other winnings-type money areas. White is the candle color associated with success in mental clarity in dealing with business matters and achievement in knowledge or testing that gives you a raise. Green is the old-tyme color of all types of money, wealth and prosperity drawing candle burning spells. Here is how you create some powerful money drawing candle spells to help you take care of your family and advance your life. First, clean the candles with lemon juice to ‘cut and clear’ our all factory dirt and any negativity. You may also use Florida Water in the same manner. Clan the outside of the glass container, the inside glass lip, the top of the wax and the wick. Make sure there are not impurities that has embedded itself in the candle wax. Set aside to dry. Write on the deposit slip the amount of money you would like to have coming into your home on a monthly basis. Consider your current sources of income and a little bit more. Write that number on the deposit slip, adding dollar signs at each corner, and sign it as if paying yourself, with a red ink pen. Place in the center of the Pyrex pie plate or large glass plate. 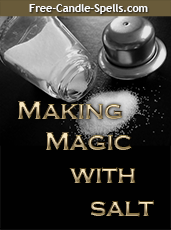 Cover the deposit slip with sea salt. Pray over the salt before adding candles (salt does what you tell it to do). Use the Psalm 23 (“The Lord is my Shepherd” or “Our Father”). Anoint the white candle with “Crowning Glory” or “Crown of Success” Condition oil. Place white candle at the “12 o’clock” position. Anoint the green candle with the “Money Drawing” Condition Oil and place the green candle at the “4 o’clock” position. Anoint the red candle with “Fast Luck” Condition oil and place the red candle at the “8 o’clock” position (see photo). Light candles, preferably on a Sunday morning as the sun is rising or on a New Moon, when it is the time for ‘bringing in’ good things such as prosperity, money, opportunities and love! You can take the salt and wrap it up in the bank slip and bury it at your front door.